We all love that “fresh” and “clean” smell of clothes as they come out of the dryer. All warm and clean. Cool and crisp. Until you realize that some of those smells that are associated with “fresh” and “clean” are chemically synthesized fragrances that are hazardous to your health. That headache you have after doing all that laundry? Not from the repetitive folding and sorting. That headache is a common side effect of inhaling harsh chemicals. 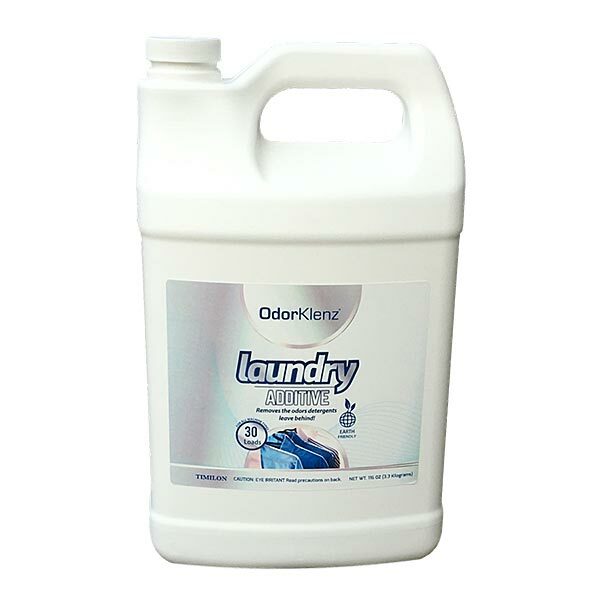 Available in both a powder and liquid form, the OdorKlenz Laundry Additive is formulated for use in HE (High Efficiency) and top loading washing machines. For the powder formula, simply sprinkle the desired amount of detergent in either the correct port for powder detergents in your HE machine or over your clothing before washing in top-load washers. For the liquid formula, pour the desired amount into the correct port for your HE machine; top loading machines detergent can be poured over clothing before use.